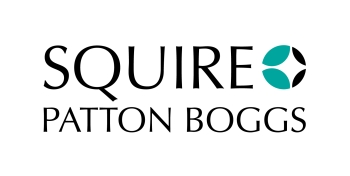 Expanding on their previous post on the subject, on April 3, 2019, Law360 published the following article authored by Squire Patton Boggs labor and employment attorneys Laura Lawless Robertson and Melissa Legault. The U.S. Department of Labor recently issued a trio of opinion letters offering employers guidance in implementing the Family and Medical Leave Act and the Fair Labor Standards Act. The letter with the broadest application to U.S. employers is FMLA2019-1-A which deals with the issue of whether an employer may delay the designation of FMLA-covered leave, and whether employers can expand FMLA leave beyond an employee’s 12-week (or in the case of military caregiver leave, 26-week) entitlement. The opinion letter is intended to address a frequently occurring scenario in which an employee who has accrued paid time off anticipates an upcoming leave of absence for an FMLA-qualifying reason (e.g., his or her own serious health condition, their spouse, child, or parent’s serious health condition, birth or placement of a child for foster care or adoption) and wants to take off more than the presumptive 12 weeks he or she is allowed under the FMLA. The employee notifies the employer that she plans to exhaust her accrued PTO bank first for what is unquestionably an FMLA-qualifying absence, and only when that bank of time has run out does she want her 12 weeks of FMLA leave to begin. Depending on the employer’s policy on PTO accrual, carryover and the employee’s prior PTO usage, this could result in an absence considerably longer than the already-challenging 12-week absence the FMLA anticipates. Put in this position, well-meaning employers may permit the employee’s consecutive use of PTO and FMLA-covered leave, electing to defer the designation of FMLA leave until after the employee has drained her PTO bank. The DOL rejected this practice in FMLA2019-1-A, finding that the deferred designation of time off as FMLA-qualifying interferes with employees’ rights under the act. Although the DOL confirmed that an employer may require, or an employee may elect, to substitute accrued paid leave to cover any part of an unpaid FMLA leave, the DOL clarified that the substitution-of-paid-leave option is not intended to permit employees to take paid and unpaid leave consecutively, but rather that paid leave, if available, must run concurrently with unpaid FMLA leave. Although this may seem paternalistic — the DOL substituting its wisdom for that of generous, well-meaning employers — the rationale is that delaying the start of FMLA leave may ultimately disadvantage employees. During the period in which such employees exhaust their PTO banks, they lack the job-restoration and other substantive protections of the FMLA. Therefore, the DOL requires that employers designate leave as FMLA-qualifying as soon as the employer becomes aware of the basis for the FMLA-qualifying leave and give notice of such designation to the employee within five business days thereafter. Employers must be vigilant to make the correct designation quickly so that employees partake in the full measure of the act’s protections as soon as they are eligible for and entitled to leave, and must count time off for covered reasons against the employee’s annual FMLA leave allotment. The DOL further opined that an employer may not treat more than 12 (or in the case of military caregiver leave, 26) weeks of time off as “FMLA-qualifying.” The letter explains that the 12- and 26-week limits constitute a congressional mandate reached after balancing the various interests of business and employee-advocacy groups, and employers are not free to dispense with the minimum or maximum limitations that the FMLA leave allotment represents simply because they choose to offer more generous PTO policies. Therefore, while nothing in the letter discourages providing employees with PTO, the DOL does express its clear intent that FMLA-qualifying job-protected time off from work is limited to 12 (or 26) weeks — nothing more, nothing less. For employers in the Ninth Circuit (those in Alaska, Arizona, California, Guam, Hawaii, Idaho, Montana, Nevada, Northern Mariana Islands, Oregon, and Washington state), the opinion letter marks a sharp departure from a 2014 decision, Escriba v. Foster Poultry Farms Inc. (743 F.3d 1236, 1244 (9th Cir. 2014)). In that case, the U.S. Court of Appeals for the Ninth Circuit held that an employee who declined to take FMLA leave to visit a sick parent and instead specifically requested vacation time was not covered by the FMLA’s protections, regardless of the impetus for her request for time off, and therefore the employer did not err when it refused to reinstate her to her prior position when she returned from her visit. The takeaway from Escriba was that an employee may decline to use FMLA leave, even when she has put her employer on notice that the requested time off is for an FMLA-qualifying reason, in order to preserve FMLA leave for future use, but she does so at her own risk. After this recent DOL opinion letter, employees may not defer time off, at least according to the DOL; rather, employers must designate leave as FMLA-qualifying leave once they are on notice. Although the opinion letter does not have the force of law so as to reverse the Ninth Circuit’s opinion, employers in the Ninth Circuit should be cautious that a court revisiting this issue may defer to the DOL’s guidance on this subject. Managers should be alerted to the DOL’s position and reminded that any requests for time off for health or family reasons should be escalated to human resources to ensure that requests are treated consistently. As a practical matter, savvy employees may simply keep their reasons for using PTO to themselves so that they can take serial PTO and unpaid FMLA leaves, but if they do disclose the reason, companies should act promptly to make the proper designations. Having said that, employers should not read this opinion letter to mean that their responsibilities to employees end after 12 weeks. They must still be mindful of their obligation under the Americans with Disabilities Act and analogous state law to provide additional leave when requested as a reasonable accommodation if doing so would not present an undue burden and would enable the employee to perform the essential functions of his or her job. The DOL also released two additional opinion letters, though on narrower topics related to the FLSA. The first FLSA-related opinion letter, FLSA2019-2, discusses whether participation in an optional community service program should be treated as compensable time when participation may result in the award of a bonus. The employer implemented a voluntary community service program. Employees were in no way required to participate, but could do so during working hours (for which they would be paid) or outside business hours (for which they would not). The employee teams that did the volunteer work with the greatest community impact were awarded a bonus and the team’s manager could distribute the bonus among the team members as he or she saw fit. The DOL concluded that this program was a bona fide volunteer program, without undue pressure to participate, with management discretion whether to award a bonus and in what amount, and therefore the time spent on such activities was not compensable. The second FLSA-related opinion letter, FLSA2019-1, addressed the narrow issue of whether janitors who live in the buildings they maintain are exempt from the FLSA’s minimum wage and overtime requirements. The DOL concluded that the janitors are not exempt under federal law (even though state wage law exempts them from overtime eligibility), but could reach reasonable agreements with building owners with respect to the hours in which they are and are not working, so long as these generally coincide with their actual hours worked. A fairly narrow opinion letter, but one of interest to those in real estate management. More interesting to employers is the DOL’s position expressed in the opinion letter that employer reliance on a state law exemption to minimum wage or overtime requirements will not constitute a good faith defense to noncompliance with the FLSA, at least so far as the agency is concerned. Employers are free to argue good faith to a court, but the DOL will not find that reliance on state law is a defense to federal wage-and-hour noncompliance. The opinion letters offer little in the way of telegraphing a consistent DOL enforcement strategy. It will take more time, and more opinion letters, before the current agency’s philosophical identity crystallizes.